The deep sea is one of the most mysterious and little-explored regions of Earth. We know more about the surface of the Moon than we do about the wonders hidden beneath the waves of our planet's seas. The deepest parts of our oceans teem with life forms so strange-looking they could be from the realm of science fiction. These fantastic creatures inhabit a realm of underwater volcanoes, engulfed mountain ranges, and vast trenches cut into the crust of the planet. 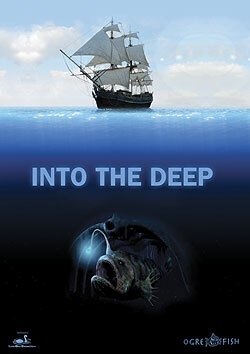 Into the Deep is a breathtaking journey of sea exploration originally created by Ogrefish FilmProductions, adapted and renarrated by Loch Ness Productions. It combines marine biology and underwater geology with a history of deep-sea exploration.